An Oran, Missouri, native, Dr. Wood received a pre-med associate’s degree from Three Rivers Community College, Bachelor’s in Biology from Southeast Missouri State University, and Doctor of Optometry from the University of Missouri – St. Louis (UMSL). 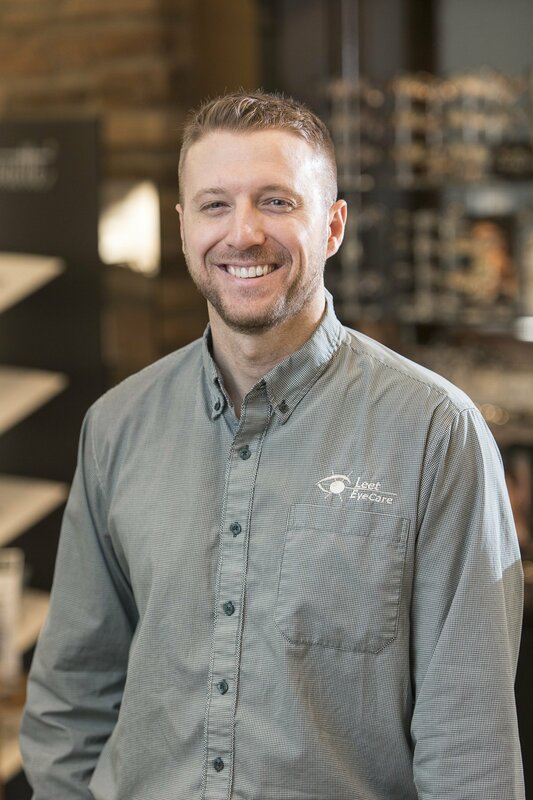 Starting as an optician in 2007, he went on to attend optometry school and joined Leet EyeCare as a physician in 2011. Outside his duties at Leet EyeCare, Dr. Wood is a member of the Cape Girardeau Jaycees. For fun, he likes to golf and go hunting with his #1 pup Snoop Dogg. His girlfriend is an animal rescuer, so they also have 5 additional dogs who keep things interesting! If Dr. Wood could turn any activity into an Olympic sport, in what event would he have the best chance to medal?